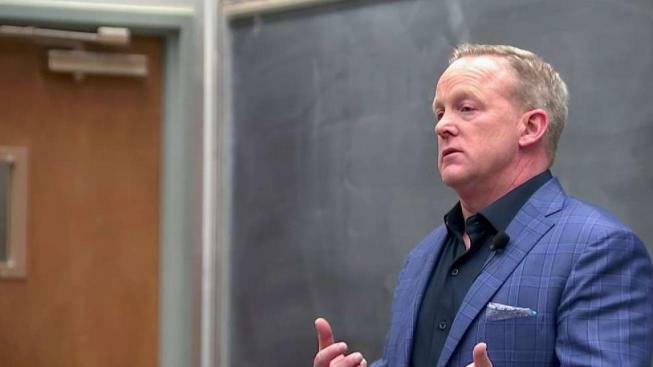 Former White House Press Secretary Sean Spicer spoke at the University of California, Berkeley Wednesday night during an event sponsored by the Berkeley College Republicans. More than 200 people attnded the event at Evans Hall. The topic of the conversation was media bias and the "threat that it poses to our republic," the event description read. "What makes our country great is the ability to say what we want," Spicer told the audience. Spicer worked as an Assistant U.S. Trade Representative and Chief Strategist of the Republican National Committee on top of being press secretary for six months in 2017. UC Berkeley has seen protests over other conservative speakers in the past, but no protests occurred Wednesday. 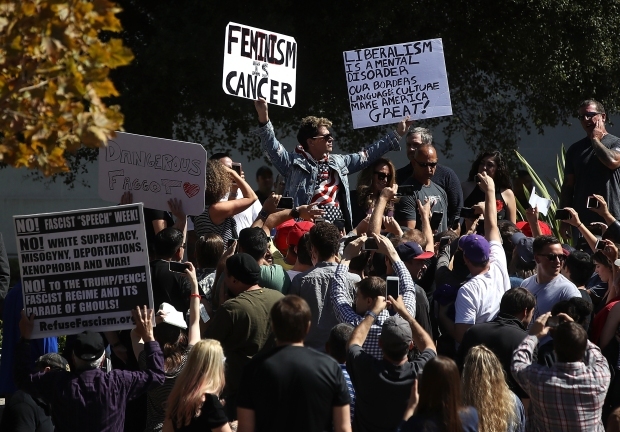 Demonstrators converged at the UC Berkeley campus Monday afternoon for a "rally against white supremacy" two days after a four-day conservative political event was called off. Jodi Hernandez reports. Last month, President Donald Trump signed an executive order protecting free speech on college campuses, threatening to withhold federal funds for universities that don't comply. 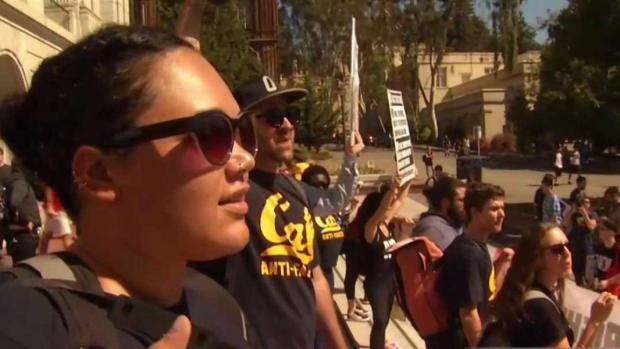 That threat was aimed at Cal after protests turned violent in February of 2017 and lead the university to cancel Milo Yiannopoulos' speech. The university had him back later that year after spending hundreds of thousands of dollars on security.